Yew says their aim was to allow customers to be more connected to their energy supplier, such as a famer with a large solar array. “Up until now customers haven’t been able to have a relationship with their generator or have a relationship with their energy. The system now is basically choosing a retailer and receive a bill,” Yew says. Their platform connects buyers and purchasers by making Oxamii the agent that monitors energy flows, calculates bills and manages loads for its customers. Oxamii is targeting farmers who have existing solar energy they want to sell on the market, or farmers looking at gaining a second source of income through establishing a solar farm. The platform allows producers to sell electricity inside Australia’s National Electricity Market (NEM) to clients at a fixed rate through a power purchase agreement (PAA) – first developed by Google on a multinational level. The PPA would offer stability and security for both parties against the constantly fluctuating NEM spot market prices. 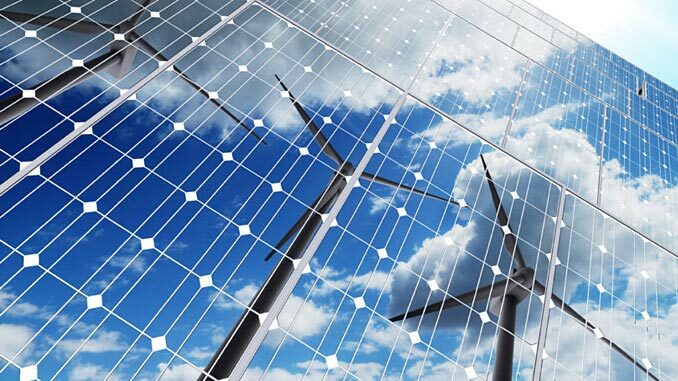 Yew explains that South Australian producers generating 100 kW or more can apply for Large Generation Certificates and access the spot market, while generators producing between 5 MW and 30 MW can apply for a Small Generator Aggregator’s license. “The Small Generator Aggregators licence is designed for generators that can sell directly into the spot market. It was designed for these small-scale solar farms to easily sell into the spot market. The problem with selling into the spot market is that the prices are variable. That’s why the Small Generator Aggregators licence hasn’t taken off. I think only eight of these licenses have been given out from last year. The uptake wasn’t very big at all,” adds Yew. Oxamii’s retail licence also offers financial security and a market to sell renewable energy. Having a PPA allows medium and small-scale farmers to approach a bank for funds to establish a solar array. South Australia leads the nation in the uptake of wind energy and rooftop solar with renewable sources accounting for more than 50% of the electricity generated in the state. Yew aims to keep the renewable energy local to help the economy and change the way people think about green energy by making it personal. “We want to promote local energy with the idea that if the energy is generated locally and bought locally then that money stays within the economy,” he says. “What our software does is that it allows customers to choose a preference of who they want to buy their energy from. There might be a preference of say the local farmer, but then there might be a sports club, or it might be a church. Our platform will help tell these compelling stories, which will allow customers to say ‘you know what? I want to support that farmer’,” says Yew.